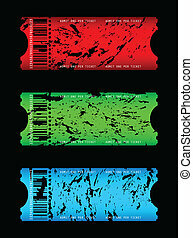 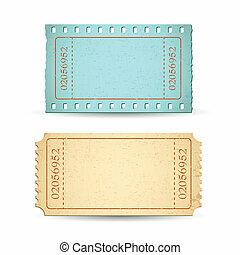 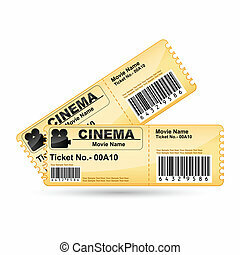 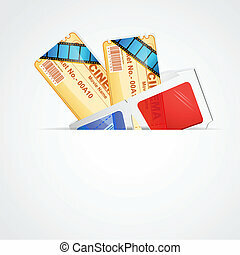 Movie ticket. 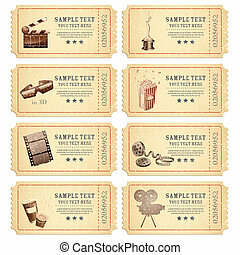 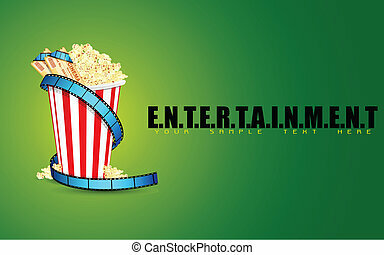 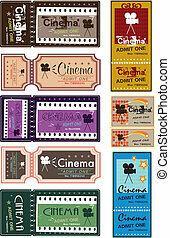 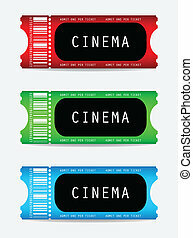 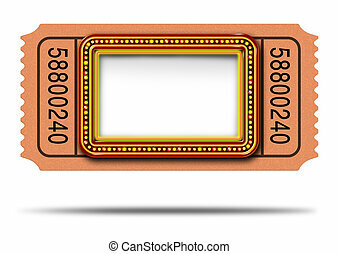 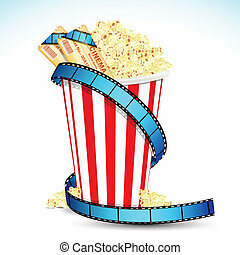 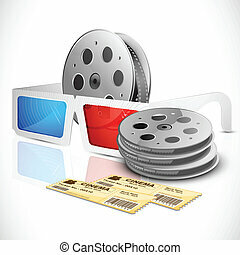 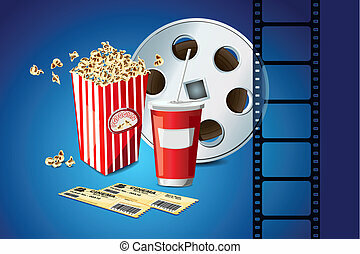 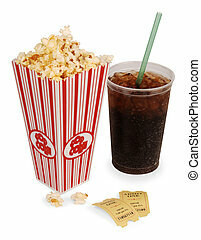 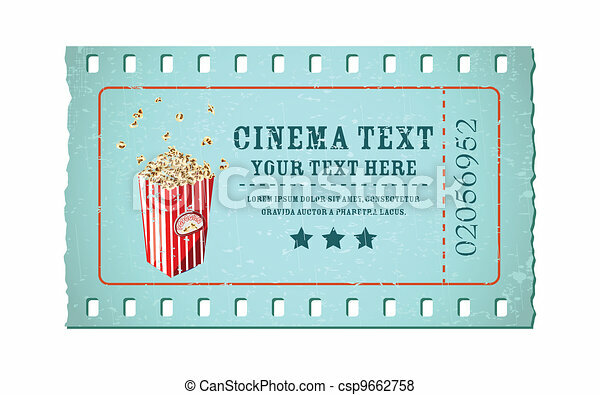 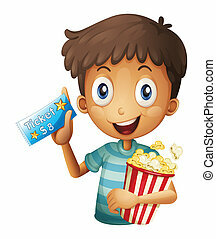 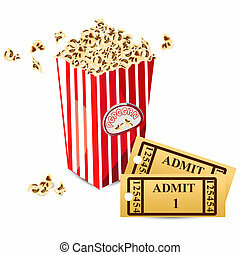 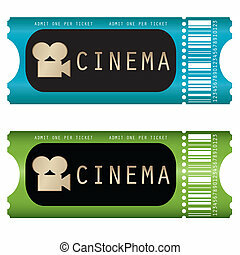 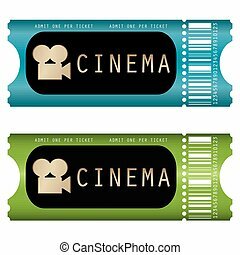 Illustration of movie ticket in shape of film reel with popcorn tub. 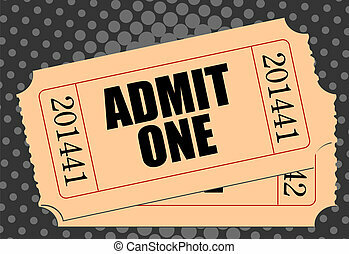 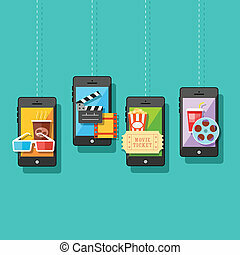 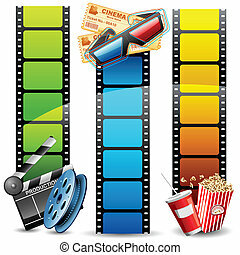 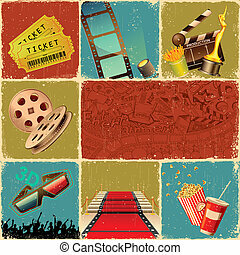 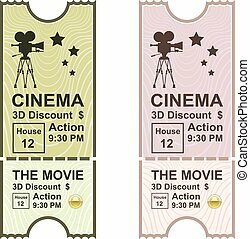 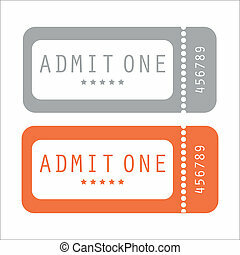 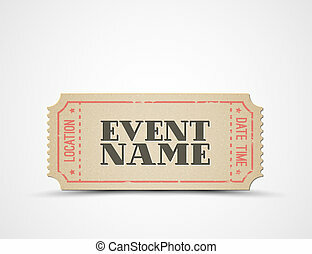 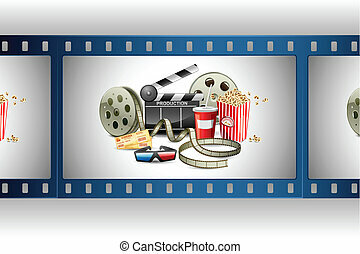 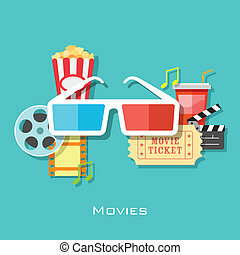 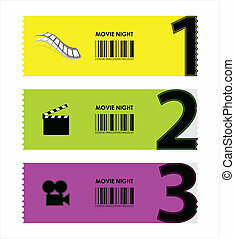 Movie marqueee ticket with blank copy space as a Hollywood theater and cinema concept with a glowing group of lights on a sign frame as a billboard icon for communicating an important event or show on a white background.